London during the Blitz, September 1940. Image Source: Guardian. Previously unseen colour footage of London during the Blitz has been discovered, after lying in an attic for almost 70 years.The amateur footage includes images of bombed-out landmarks such as the John Lewis department store - on Oxford Street.The 20 minute film was shot by the wartime mayor of Marylebone in west London, Alfred Coucher. The film was used as part of a US government propaganda film entitled "Why We Are At War." For images, sounds and records of London during the Blitz (which lasted from 7 September 1940 to 16 May 1941), see a Channel 4 report and a Guardian article below the jump. 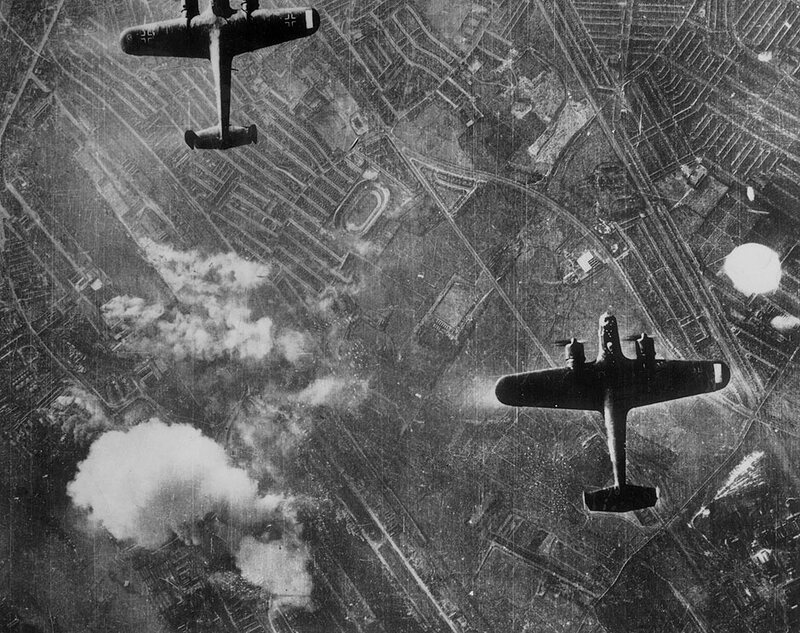 Bombing from the first night of the Blitz (7 September 1940). Image Source. The London Metropolitan Archives holds the definitive account of the Blitz in meticulously hand typed records kept by the London Fire Brigade at the time. September 7 was just the start - by November, Coventry had been destroyed and attacks hit cities across the UK, including Plymouth and Liverpool. It lasted 79 days. At the end of the war, the city's civil engineers undertook a full study of bomb damage from 1939 to 1945, identifying every property in London hit by bombs and rockets - and the severity of the attack. These London bomb maps were published a number of years ago as a book, now out of print. But you can see the maps in person at the archive, where there is talk of making them properly available online. The Blitz reflected the German expectation that a great air force could win 1940s's whole Battle of Britain campaign by itself, specifically through attacks on strategic as well as civilian targets. Despite extensive damage to Britain's capital, the Blitz of London and of other key UK towns and cities is considered a German defeat in psychological warfare. It was meant to intimidate and demoralize the British after the rapid French surrender in 1940. Instead, the Blitz critically strengthened the mental resolve of the British people. British Pathé has 90,000 newsreels and historical images, many related to WWI and WWII, which can be searched and viewed for free online here. UK air raid siren recording. 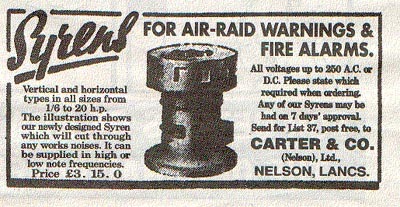 Air raid sirens (made by Carter of Nelson, Lancashire (see here) and Gents of Leicester) were used in the UK from 1939 to 1945. Video Source: Youtube. The sirens are now refurbished by devoted hobbyists, see here. Prime Minister Winston Churchill's speech on the Blitz: "We shall﻿ ... draw from the heart of suffering itself the means of inspiration and survival." Video Source: British Pathé via Youtube.